Instagram is unstoppable, and so are its users. With the recent additions of video and Web embeds, more and more of you might be consolidating all your media-sharing activity within the platform. For some of you, that means running more than one Instagram account; maybe you run one for work, or for a community group of some sort, in addition to your personal profile. Unfortunately, Instagram doesn’t have a native function that makes running multiple accounts all that easy – the official app still doesn’t even allow multiple profile sign-ins from any outside app either. 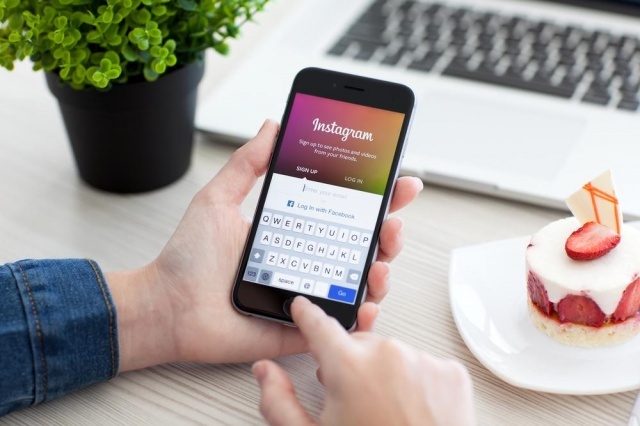 The very first solution Instagram aficionados came up with to solve this problem involves creating a second user profile on your smartphone, where you can install another copy of Instagram and have another account signed in. That is incredibly complicated and time-consuming, and there’s no guarantee that it would work on all devices (why anyone would need more than two is beyond me, but to each their own). Unfortunately, until Instagram allows third party apps (that offer multiple account management) to offer an upload function, this is the only choice besides going through the motions of logging in, uploading a photo, logging out, and logging into a second Instagram account. For now, you will have to make do with some apps available that support viewing multiple Instagram accounts. Just know that managing them on a single client is only half the battle. It’s no secret that social media clients make the lives of power users a lot more efficient, and Instagram is no exception. If you’re juggling more than one account, you can give these apps and sites a try and choose one that fits your needs and preferences. Fotogramme is a free iOS app that focuses on simplicity and ease of use. 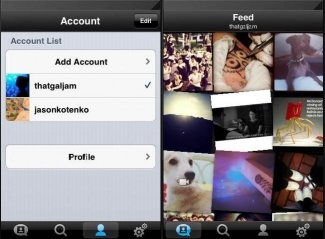 You can easily switch between multiple accounts by tapping on the Account button. The app has no frills – the feed provides a grid view of your friends’ posts, which also includes video, an added plus. Tapping on a post provides easy social interaction: You can share content via tweet, you can hit like, and you can check out your friend’s post details and post a comment. Searching posts by username, location, hashtag, and popularity is also possible, as well as is checking out your photos and photos you’ve liked in separate streams. Since Fotogramme is mainly a client for viewing Instagram posts, you can’t upload and post photos – you can do that through the official Instagram app. Multigram is a lot like Fotogramme – it functions more as a viewer rather than an uploader. For $1.99 you can easily toggle between accounts and peruse through your feed, comment and like photos. Additional features include the ability to switch between three view layouts and a slideshow option that instantaneously updates as new photos hit any photo stream selected. Just like Multigram, Gramatica is also an iOS app that costs $1.99, but this Instagram viewer brings a little more to the table, if only for its ability to do away with the annoying auto-play function of video posts. Users can also effectively hide all video posts if they’d rather concentrate on photo content. Another awesome feature is its URL support: If anybody posts a URL link as a comment to a photo, you can tap and visit the respective page easily (the Instagram app has this function disabled). If you have to take a quick break, you can easily go back to where you left off through the Last Viewed photo indicator. Most importantly, you can fast-switch between Instagram accounts. 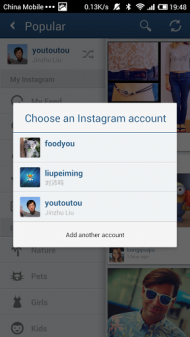 For Android users, Padgram is a great Instagram viewer that allows users to switch from one account to another. Unlike other apps, Padgram allows you to post Instagram content within its own platform, as long as the Instagram app is also installed on the same device. Much like the other viewers, Padgram allows you to browse, like and comment, and search for photos by tag or username. You can also follow or unfollow users and subscribe to hashtags. If there are photos you really like, you can save them to your device gallery or share them on your other social networks. If you prefer using your desktop to view your Instagram feed, Gramfeed is a great Web app that allows you to switch between multiple accounts. You can view photos as well as video posts within the site. You can like, share, and even download photos that you want to save on your desktop. Gramfeed also offers an embed code for all posts (Instagram also offers this natively now). ⇐ #HeyDish, How Do I Share bookmarks Between Computers With Google Chrome?